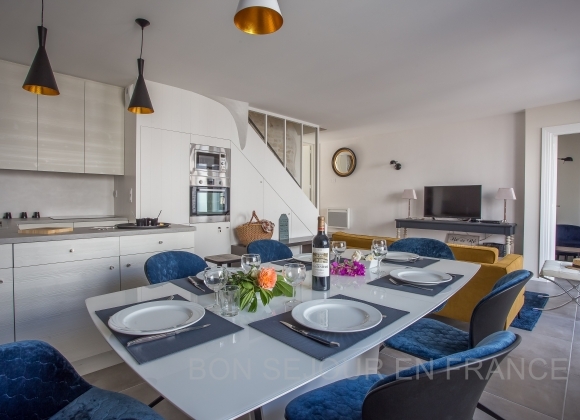 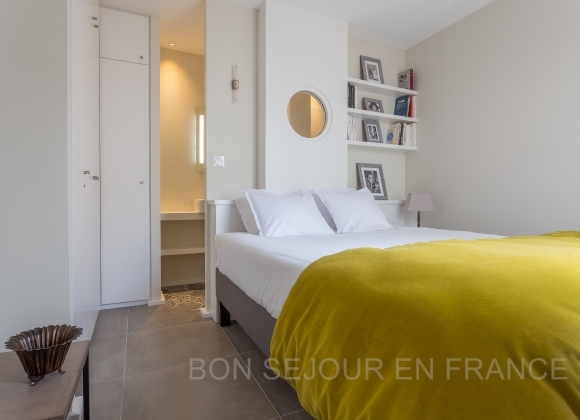 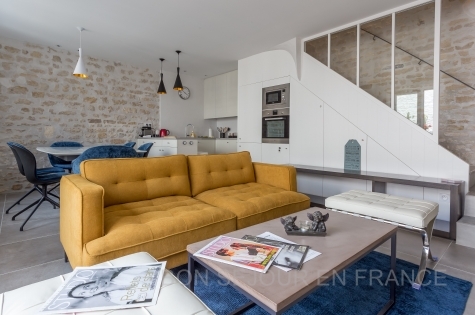 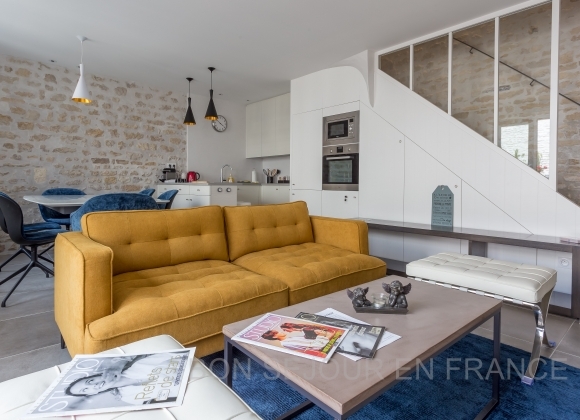 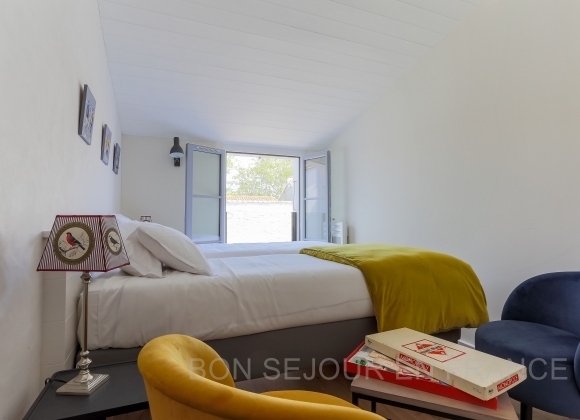 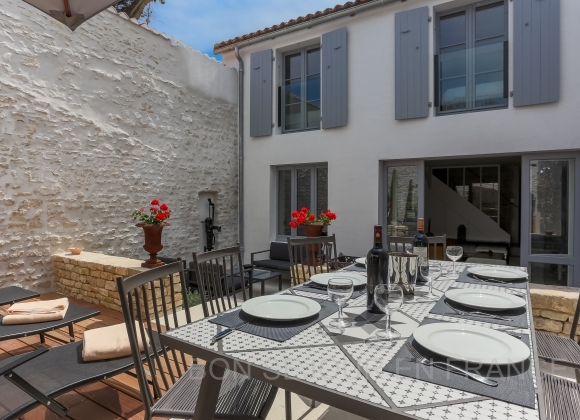 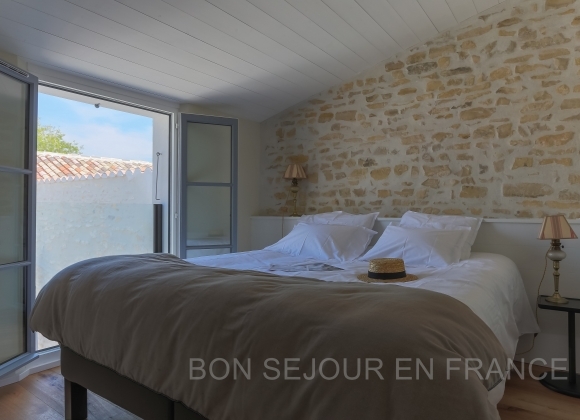 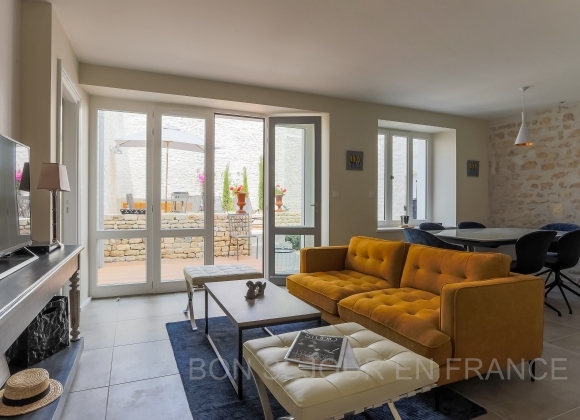 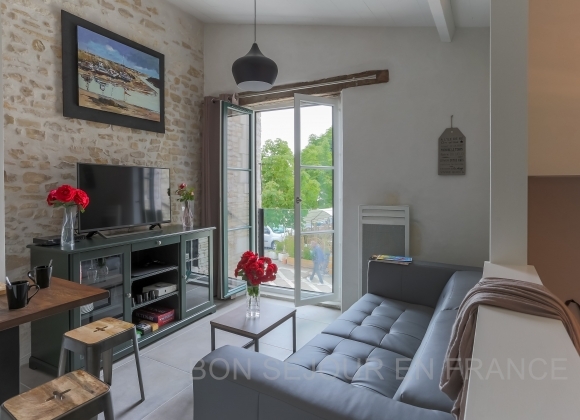 Right in the centre of the village, shaded by the church of Ars, this recently renovated, charming and well thought-out house with its studio, is ideal for your holiday on the Ile de Ré. 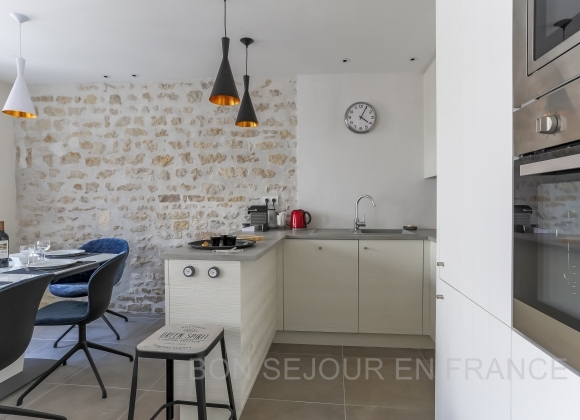 The harmony of the colors alongside the mix of visible stones and modern furniture make the house an architectural success. 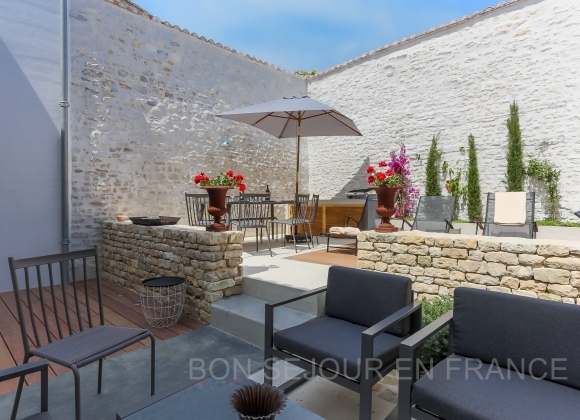 You will also appreciate the outside terrasse which is sheltered from the wind and therefore perfect to enjoy the sun at all times. 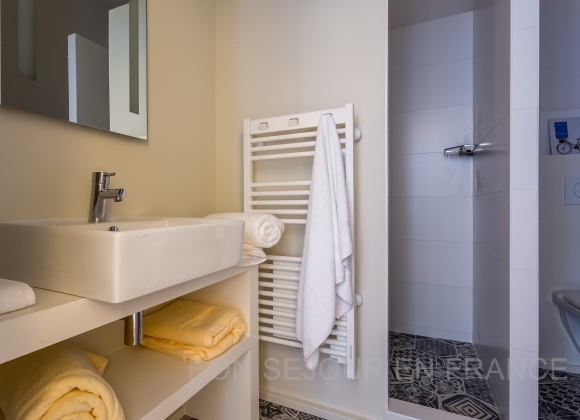 Its two seperate night-time areas and an independent annex will suit everyone. 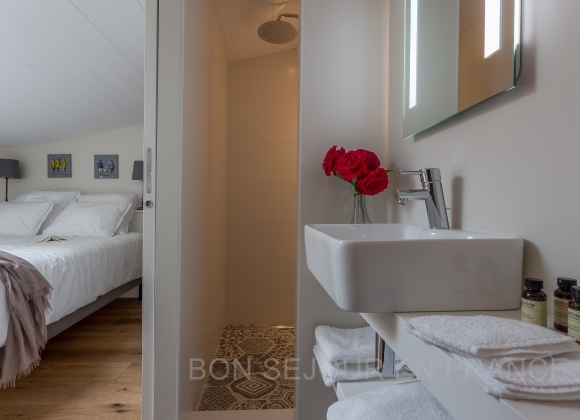 New equipments and high quality bedding highlight the assets of this pretty holiday home. 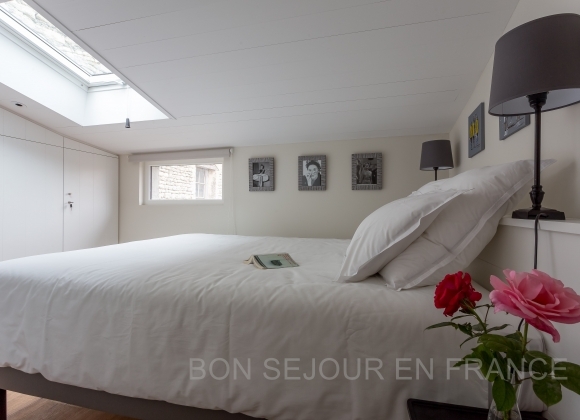 Out of the peak season, Pagode can be rented for maximum 6 guests (without the annex) at a reduced price. 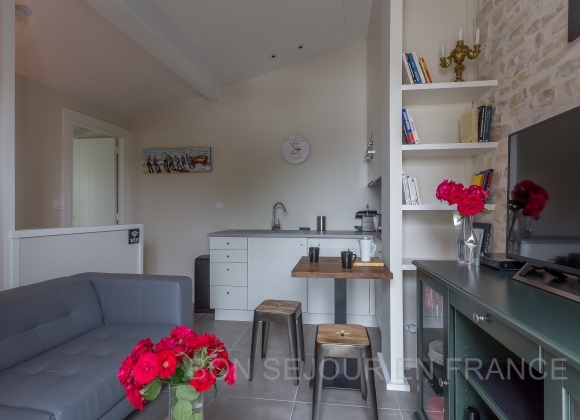 living room with kitchen corner. 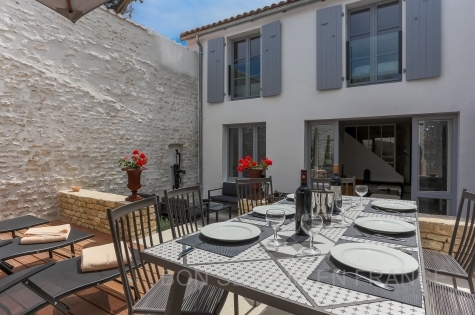 Fully equipped terrace with garden furniture a BBQ (plancha) Garage for bikes.